With all of the different social media options out there, it might seem easy to just push Instagram aside. It’s just for pictures right? Wrong! Optimizing your Instagram business profile isn’t complicated, but can yield great results. Instagram has better engagement rates than its social media competitors but is one of the most neglected networks by businesses. This means its primed for B2B engagements. 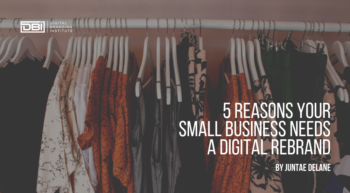 With an Instagram business profile, you may not have to do extensive SEO work, but the little you do will pay off. Just a little bit more consideration in your pictures and the posts that follow will make all the difference when optimizing your Instagram business profile. There are a few quality management issues you need to iron out before you begin any optimizing your website, content, or social media profiles. Building a page to load fast on both a desktop and mobile device will create a seamless user experience. This can be done through image optimization and file reworking on a stable hosting service. When you have a lot of high ranking websites referencing you, then you know that your information is unique, relevant, and informative. Your pages should be easy to navigate around. If you have a sitemap and link your posts with each other whenever necessary, instead of repeating yourself, you will ease both the crawlers and the users. Having small images will optimize the speed of your page, but you also need to make sure that they are related to your content. Adding a simple explanation in your alt text will increase your user experience and link in your images better. If people are clicking on the links to your website but not sticking around, you’re not delivering the information that they’re looking for when they click-through to your content. Be sure that your website is engaging to your consumer to keep them from bouncing. The pages on your website should be related to the content and brand you’re building. Keep all of your articles on topic and use relevant keywords. Don’t just infuse your keyword a million times. Add value and a unique perspective on the topic. This is related to your reader engagement. If your post is being shared, then you’re doing a good job. It also is a sign that your content is resonating with your audience. This may not be the most important part of your SEO strategy, but it helps. Now that I got the SEO 101 stuff out of the way, now I’ll touch on SEO for Instagram. Instagram features its own built-in search function, which means that if someone types in your name then you’ll want to ensure that you show up (just like you would for a Google or Bing search). You may be wondering: does social engagement affect SERP rankings? “Direct social media traffic is usually not a strong driver of direct sales, but SEO certainly is,” writes Enge. If your goal is to boost sales, then you need to be ready to capture this additional spike in traffic and start moving these visitors through your sales funnel. Social media may not change your SEO, but social engagement is a byproduct of quality content. The creation of inbound links, mentions, and repeat readers are the only SEO signals that search engines will care about. When you’re looking for insta-success, the quality of your visual content will be of the utmost importance on this platform. 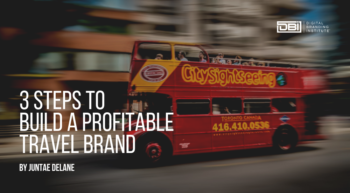 Photos that are unique and fit your brand will create engagement within your audience. Make sure that your photos are a fit for your brand. If they aren’t, then it doesn’t matter if they’re great photos, they’re not contributing to your SEO. You may find your Instagram account ranking alongside your website and Twitter account when you search on Google. Search engines can drive traffic to your social media sites like Instagram, Twitter, and Facebook at any time. Make sure that your profile is filled out with information that is most relevant to your specific social audience. As I mentioned earlier, Instagram also has its own search bar within their unique interface. Users can search people by their actual name, their username, hashtag, or by a place. Pay close attention to what you post because it will have a clear impact on the audience that you receive. Study people who search terms similar to what you are using and make sure that they are the audience you’re looking for. If not, search out your desired audience specifically and utilize the factors that will bring you up in their search results. The combination of keywords and hashtags are more traditional SEO techniques. Instagram may not seem like a big search engine, but because it has the search function you have to consider how people may be using it. With a little research, it’s easy to see that the most popular search on Instagram uses hashtags. Utilizing hashtags will get you the most search volume and will make sure that you’re using the appropriate hashtags for your photos. This will give you maximum exposure. The nice thing about hashtags, as opposed to keywords, is that you can add several at the end of your post. You don’t have to try and naturally squeeze them in or worry about stuffing them into your post. You can simply list the hashtags you want to use right at the end of your post. So how many hashtags do you want to use and which ones should you use? It will be up to you to determine which hashtags are relevant but not overused. Search out your ideas and see who else is using the hashtag you’re thinking about. Websta is a great option for finding out what the top hashtags on Instagram are. This website will give you a list of the top 100 hashtags so that you can see what people are using the most. Websta even lets you filter by location. You can see what people around you are hash-tagging. This is a great option for utilizing the local market. If you decide to create your own unique hashtag remember that the big businesses are usually the ones that have the most success with this. However, running a contest or something similar where you ask people to use your hashtag could get you started on finding popularity with it on Instagram. Scrolling and engaging with photos is the most popular way that people use Instagram. This is why the Instagram algorithm optimization is far more personal. The first thing that Instagram algorithm looks for is engagement. If the picture gets great engagement, then Instagram decides that it must be worth seeing. You’ll want to monitor your pictures engagement rate to make sure that you’ll be seen. Instagram also cares about your recency. They know that people don’t want to see the same pictures over and over again. 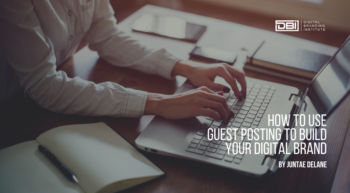 Posting at least once a day will help you boost your reach. The photo-recognition technology that Instagram uses contains machine learning relevancy. This means that the more relevant your photos are to a certain industry then the better your chances are of appearing in their feed. There are a few things that remain outside of your control, like whether or not people are searching for your brand or if they engage with your brand often. However, if you post quality content that is related to your brand industry, then you should do fine. While SEO may not function the same with Instagram as it does with other sites like Google, figuring out how to use it can still be beneficial for your brand. Instagram doesn’t work like other sites, so you’ll have to be familiar with the various ways to optimize your Instagram business profile. This doesn’t have to be complicated though. As long as you know you’re brand, then you’re halfway there to creating a popular Instagram business profile. Who has a great Instagram business profile?